Do you know that PLATO, the first computer-assisted instruction system developed at the University of Illinois, was born in 1960? If like me you didn’t, this infographic history may be of interest. I just completed a graduate degree with online coursework, which was a positive experience for me overall. But I do have a confession: Some of the most significant lessons I learned did not come from the course content—but from the experience of being an online student. During the first couple of courses in my online program, I felt very much alone as I struggled to complete challenging tasks. There was no unstructured interaction with the other students. No chatting with your peers while waiting for the professor to get started. No hanging out for a few minutes after class. Were my classmates experiencing the same difficulties that I was? Finally, I took the initiative, reaching out to classmates from all around the world, using email, Facebook, and Skype. I learned I was not alone. We shared our stories and hopes. We worked through complex assignments, providing support and encouragement for one another. Without a doubt, my work improved—and, as importantly, I could process the learning experience with others. Read more: How My Online Learning Changed My Teaching. The 2012 Survey of Online Learning conducted by the Babson Survey Research Group reveals the number of students taking at least one online course has now surpassed 6.7 million. Higher education adoption of Massive Open Online Courses remains low, with most institutions still on the sidelines. Over 6.7 million students were taking at least one online course during the fall 2011 term, an increase of 570,000 students over the previous year. Thirty-two percent of higher education students now take at least one course online. Only 2.6 percent of higher education institutions currently have a MOOC (Massive Open Online Course), another 9.4 percent report MOOCs are in the planning stages. Academic leaders remain unconvinced that MOOCs represent a sustainable method for offering online courses, but do believe they provide an important means for institutions to learn about online pedagogy. Seventy-seven percent of academic leaders rate the learning outcomes in online education as the same or superior to those in face-to-face classes. The proportion of chief academic officers who believe their faculty accept the value and legitimacy of online education has not increased – it now stands at only 30.2 percent. The proportion of chief academic leaders who say online learning is critical to their long-term strategy is at a new high of 69.1 percent. The perception of a majority of chief academic officers at all types of institutions is lower retention rates for online courses remain a barrier to the growth of online instruction. Everyday, more resources are becoming available to any one who spends time online. Colleges and universities are opening up and letting everyone access some of their best courses and learning material. Teachers and experts are creating amazing content and hundreds of thousands of people are taking advantage of it. In the past few years there has been an explosion of companies and organizations that are trying to make all of this material available online. Here are some of the most notable places to find amazing free material online today. Read more: 10 Places to Learn for Free Online. Imagine a world in which the best possible quality in higher education is available to all students, even those in the most remote parts of the planet, and you enter the world of MOOCs. There certainly has been a very intense buzz lately about the efficacy and future potential of MOOCs as the new wave in higher education reform. For those that don’t already know the moniker, MOCCs are “massive open online courses” offered by and in conjunction with some of the highest ranking, most elite universities in the U.S. The rapid rise of these online courses does not diminish the importance of institutions of higher learning, but it surely has begun to shake things up. Up until now we characterized online learning as “non-traditional” however, there is a paradigm shift happening, as the undemocratic costs of higher learning have reached the breaking point. MOOCs offer a rapidly growing alternative. The trend is overwhelmingly gaining popularity as a way to level the playing field in a world where elite universities have the monopoly on the highest quality education at equally exorbitant prices. Read More: Democratizing Higher Education: The Rapidly Changing Face of Online Learning | Academic Exchange. In many ways, these classes are better than traditional college classes. Because they are online, you have much more control of their education. For instance, you have the ability to spend as much time as you need in order to gain mastery of the material. In addition, because of the large numbers of students taking these classes, it is very easy to ask and answer questions about the material in the class forums. One thing to keep in mind, however, is that the professor won’t remind you when to turn in assignments or watch the lecture videos, so you have to be motivated enough to do the work by yourself. The two largest platforms providing these types of online classes are Udacity and Coursera. Read on for a comparison of the two: Online Learning: Udacity and Coursera Comparison | UnCollege. Keeping Pace with K-12 Online Learning: An Annual Review of Policy and Practice (2012) is the latest in a series of annual reports that began in 2004 that examine the status of K-12 online education across the country. The report provides an overview of the latest policies, practices, and trends affecting online learning programs across all 50 states. Keeping Pace is researched and published as a service to the educational and governmental communities through the generous support of our sponsors. Distribution of the report and graphics for presentations are free. Free Download: Reports & Graphics « Keeping Pace. Read more: How to Uphold Online Learning Standards to Quality Education | MindShift. Online education: can we bridge the digital divide? Online learning divides opinion like few other issues in the world of higher education. But regardless of whether you think this is a good or bad thing, there is no escaping the fact it is here to stay. Despite claims about the democratisation of education through free online university courses and open educational resources, some potential students are being left on the wrong side of the digital divide. Learners need not only the physical connections to the internet and appropriate hardware, but also the familiarity with technology to make online learning work. Universities and governments need to do more to improve access to these resources or risk leaving some of the most disadvantaged students behind. Full Text: Online education: can we bridge the digital divide?. The Journal of Asynchronous Learning Networks invites submission of papers for a special issue focusing on Online Learning and Open Educational Resources (OER) for international development. The articles will focus on reaching rural or other hard-to-reach populations using education technologies that work for these populations. Some of the tools will include OER, online learning, blended learning, and mobile learning. OERs are learning resources made publically available and free to use, modify and redistribute. These include books, presentation materials, assessments and other types of resources. Online and blended learning is being used throughout the developing world in formal and informal learning in a variety of contexts from classrooms to mobile platforms. The issue will also focus on educational transformation where students will be engaged in the creation of resources and participatory research that helps communities develop. Traditional vocational institutions, colleges and universities in emerging countries are facing unprecedented demand. Likewise, the demand for informal training is growing. Internet growth is on the verge of exploding and mobile platforms are already ubiquitous in many countries. Yet the scarcity of financial resources requires practitioners to develop creative solutions and innovative practices. Online and blended learning, and OER, offer promising solutions to meet demand and improve quality within the context of developing nations. This special issue will explore current applications, research and future directions for online learning and OER in the context of developing countries. Papers should present a research study, an analysis or detailed case study on the topic, including data where possible. Papers might focus on trends, project outcomes, road-tested methods and promising models including implications for online education where appropriate. Manuscripts are due January 14, 2013 for the May issue. Full Text: Special JALN issue on Online Learning and Open Educational Resources for International, Rural and Hard-to-Reach Populations, CFP | The Sloan Consortium. As a life-long learner, I have appreciated engaging and interacting with a wide variety of educators in a few Massively Open Online Courses (MOOCs). 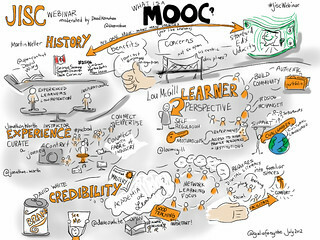 The concept of a MOOC is has been around for a while. In previous blog posts, I have shared the definition of a MOOC and my participation and experience. I have appreciated learning from the #eci831 and #CCK09 MOOC facilitators, such as Alec Couros, George Siemens & Stephen Downes. Even more, I appreciate the knowledge shared by invited speakers and the connected learning participants who I continue to engage and exchange with beyond the course structure. MOOCs are now on the tip of everyone’s tongue due to recent education technology start-ups who are now designing MOOC-like courses and creating partnerships with many accredited higher education institutions. What’s all the MOOC about if the concept of a MOOC is not a new innovation? Full Text: Online Learning: More Than Just a MOOC « TechKNOW Tools. The major media outlets are writing a great deal of misleading articles about online learning. The foolhardy would be unwise to follow the advice of NY Times writer Mark Edmunson. His article, “The Trouble With Online Education”is flawed on so many levels I can’t even compel myself to rebut it. I’ll let my friend and colleague Michael Horn do that, which he did here. I have also seen some highly toxic, overly hostile-toned op-eds from teachers union-funded efforts that portray themselves as “public policy institutes.” Countless times, they misinterpret the words of people like Bill Gates, claiming he would replace all teachers with avatars and first person shooters. They have also tried to bastardize the intentions of Sal Khan, inventor of the Khan Academy. Khan has never tried to make himself a martyr or some symbol of a flipped classroom. All he did was show what the power of digital technology can do to help students learn, if we let it. All of this behavior is not surprising, because institutions fear change, and they will do whatever it takes to protect the status quo. 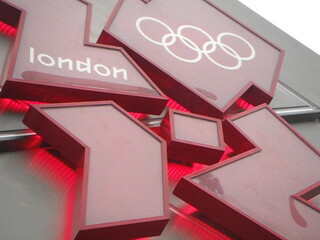 To make a small analogy, we’re seeing the folly of trying to televise the London Olympics as if we’re still in an analog world. NBC has been besieged with criticism for holding back key programming to air on a tape delayed basis in prime time. The problem is, the blogosphere has already announced the winners to the entire world, so who wants to watch Ryan Lochte win the gold medal when the outcome is already known? For some amusing commentary on this, feel free to read this article about it. What I am trying to illustrate is that you can’t keep following the same model when the world has changed. Public education is no exception. Full Text: ReinventED Solutions – My Blog – Public Education Must Embrace Online Learning To Remain Relevant.